One of only few dance acts who can effortlessly navigate between the nocturnal world of dance music with underground gems like “Crazi”, “Texi” and “Don’t Say A Word” while scoring Top 20 Hits internationally with “PATT (Party All The Time)”, “The One” feat. Daniel Bedingfield, and “She Came Along” with Kid Cudi. His desire to not ever be confined and pigeon holed into one genre of music has enabled him to constantly evolve and surprise people with his productions. And the head turning has continued this year with his Mach EP releases which include ”M.I.T.T.”, an underground favorite featuring a powerful vocal hook from Shakira, and “Fun” a song written by Chris Martin of Coldplay. His latest effort “God Always”, a dub-step influenced house track was hailed as one of the runaway surprise records from the Miami Music Conference. 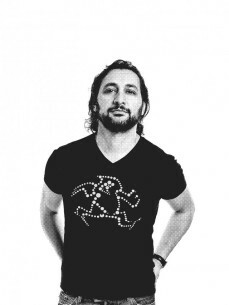 The Grammy Award winning producer’s DJ sets follow the diversity of his productions skills. On one side he rocks a marathon underground set like his legendary 10 hour stint at Warung Beach Club in Brazil to a sold out crowd of 4000 (2 hours of Sharam’s seminal live set was featured on his 2011 Essential Mix on BBC’s Radio 1), and on the other side he can effortlessly entertain a diverse crowd of younger dance enthusiasts and VIPs in Vegas, Miami and Ibiza with a penchant for quality music that’s engaging and entertaining, without compromising his art as a forward thinking DJ/Producer. Already beyond well known for his role as part of the legendary DJ duo Deep Dish which brought the world huge hits like “Flashdance” and “Say Hello”, he is also the driving force behind the legendary Yoshitoshi record label using it as a vehicle to promote newly discovered talent from around the world.